Roast one large marshmallow turning slowly over a fire until it begins to brown. Place 1/4 of the chocolate bar on 1/2 of a graham cracker. Place the roasted marshmallow in the middle. Top with the other graham cracker half. Squeeze together. 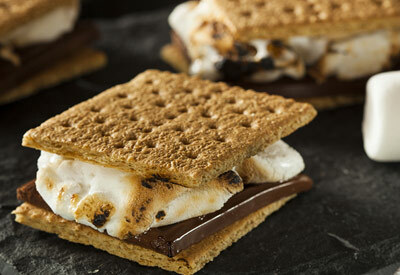 Caution: S'mores can be hot.